Prices shown are per week, in Pounds Sterling. The rental week is from Saturday to Saturday during the peak season; we welcome enquiries for other start and finish days (minimum three nights rental preferable, but can be flexible) at other times. Arrival time is not before 4.00 p.m. and departure not later than 10.00 a.m., but do discuss any special requests with us. We do not charge for cleaning but expect that the gites are left as you find them. Should you wish to depart early we can clean for £50 per gite. Only full weeks may be booked for July, August, Christmas, New Year and Easter. Special weekend rates apply outside of peak season for Thursday, Friday, Saturday and Sunday for all 3 gites: £300 per night. If all three gites are booked together for a week or more a 5% discount applies. Returning guests gain an additional 5% discount please remind us of your previous trip. 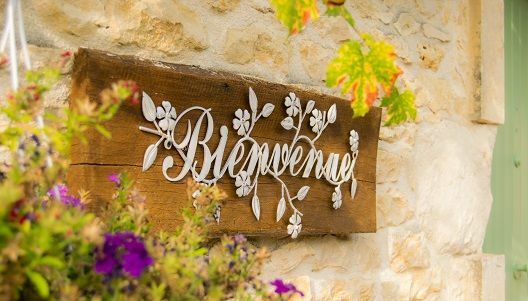 A £50 (or Euro equivalent) non-refundable deposit per gite per week by cheque or bank transfer together with the completed and signed Booking Form/Terms & Conditions will secure your booking. The balance is due 6 weeks prior to your holiday. If you have to make a late cancellation after full payment has been made, we will endeavour to re-sell your holiday. If we are able to do so, we will return the balance to you. For bookings at short notice, the total cost of the holiday is due at the time of booking. No confirmation of booking can be sent until deposit or full payment is received. We do not ask for a damage deposit, but you are requested to replace any minor breakages. Please ensure that you take out comprehensive travel insurance to cover any last minute cancellations and any damage to the fixtures and fittings of La Charronnière. Please report all damage, major or minor, to us. We can pick parties of up to 6 from Poitiers airport only and will be charged at 70euros for the return trip payable on arrival. We can also take you to a local supermarket who hire cars at a much better rate that those you can pick up at the airport. We can be very flexible so please ask if there is anything you are unsure about or if you have specific requirements. We will endeavour to help if we can.